The floor plan selection process is one of the most joyful, yet critical parts of building your new home. Most home builders offer an array of standard floor plans to choose from for virtually any taste or need. Our floor plan, the "Turner", offered a 4/5 bedroom configuration with a large master suite and a first floor built for entertaining. Some of the options may include larger rooms, adding or deleting rooms, changing half-baths to full baths and other general layout options. Your builder, as Ryland did with us, should allow you plenty of options and time to make your decisions carefully. During the floor plan process, you really should try to get a good idea of how you want your home to flow and how you want to use your new spaces in the way that suits you best not only now, but in the foreseeable future that you will own the home. With our home, we choose several options, like a master bath with both a shower and tub, a den instead of 5th bedroom so that we can setup our home theater room and a fireplace in the family room. We also opted for every additional window available, adding one to the large master suite and the secondary bathroom upstairs. Children love running around a house corridor and feel the breeze running through their hair and skin. They don't know how the corridors managed to be this wide and beautiful for passing through. They don't know how the kitchen managed to be conveniently placed near the backdoor for easier barbeque preparations. They also don't know how their rooms managed to be beautifully designed even though the house is irregularly shaped. They don't know who carefully planned and designed the floor plans of your house and how you, their parents, picked out the best suitable floor plan designs for your house. A good floor plan design is important to make sure that your house is convenient to live in. Badly designed floor plans could lead to severe floor traffic (especially if you have numerous persons living with you), and unexpected accidents (like when freakishly designed floor plans where the stairs are just two or three steps away from the bathroom door). Designing floor plans is an important task that takes into account the desired shape of the house foremost, the place where the house is situated to determine the best views, terrain, and the size. The floor plans should coincide with the shape of the house and this greatly improves convenience. It would be nice to see the sunrise up every morning from your window, and this situation is determined by the floor plan. A good floor plan will let you wake and sleep in complete happiness with your house's convenience. The size adjustments to the rooms and corridors of the house are also important. Other rooms also need your careful examination and input of your preferable size to the convenience of everyone. Usually as you build your house blueprint, you can already set your floor plans for the construction team to work on. If you are unsure of your floor plan designs, you can ask your family and consider what they want. You can also go online and look for the different floor plans available. An architect will also be able to give you good advice on your floor plan. After discussing with your family on what they want, you can map out the floor plan according to their preferences. Consider where you live and where you would like to spend most of your time, considering what view you would like to see. You can look at home building catalogues and use some of their floor plans. If you have a friend or relative close to your location, you can go inside their house and inspect their floor plans, with their permission of course. You can also go online and browse numerous websites offering floor plan catalogs and wisely use the search button for your convenience. Most online websites display their floor plan offer depending on the shape of your house so make sure that you have the exact measurements and shape of your house in mind. 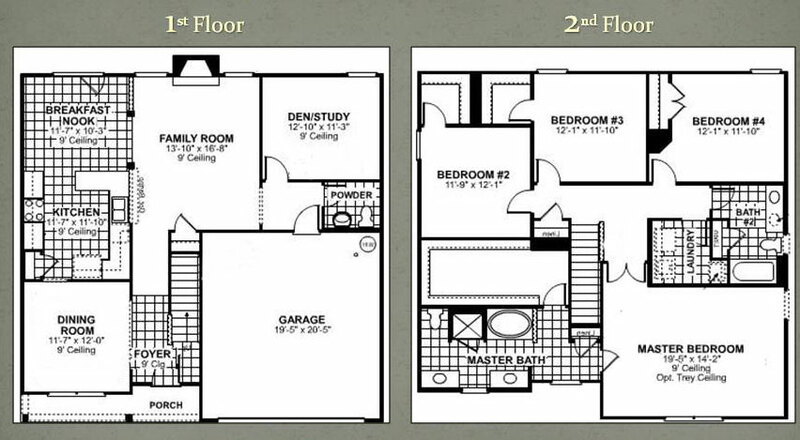 You can take a look at other floor plans and map out your own based on them. You should also consider the exterior finishing details in which you can use home magazines to improve your choices. Of course, while doing this you should at least have your family there for discussion. Lastly, estimate your building costs. Make sure that your floor plan designs reflect how much you currently have as a budget. Consider hiring an architect so he or she can customize the floor plan to best suit the needs of your family or to help in mapping it out.